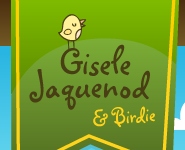 EN – Last 16th the contest to win a new set of Birdie Says stackable mugs closed. And today I am happy to announce, THE LUCKY WINNER!! Keep an eye on the blog foor a new giveaway in the next days to celebrate that Cafepress is now accepting PAYPAL!! ES – El último 16 el concurso para ganar un set de tazas apilables de Birdie Says cerró. Y hoy estoy muy contenta de ANUNCIAR AL GANADOR!! Peguen un ojo al blog para un nuevo sorteo en los próximos días, para celebrar que Cafepress acepta ahora PAYPAL!! Movezerb will be getting her favorite set!!! There are 12 Piips in this entry! Gisele… you read the blogs that wrote short review about the mugs, didn’t you? or… just simply chose the number randomly? Or… all the numbers inside the bowls are 40s? Eh? I dont understand. It wasn’t a writing contest, it was a SHUFFLE. I wrote all the numbers by hand, twice the ones that had twittered. The entries could be on BLOGS or FACEBOOK. And only a link to the contest was required. BTW, you can check all my contest lists. You’ll see I use same procedure every time. Sad you feel this way. It was a honest contest like all the ones I do. You can see a cample here: http://www.giselejaquenod.com.ar/blog/2010/01/21/preparing-for-the-shuffle/ just that this time I wrote by hand because I dont have a printer since I just moved. I can’t believe you would doubt about my contests. Like if there was something in it for me when I am giving away things? please don’t feel offended by my previous statement/comment. I didn’t mean anything cynical or even further, harsh, by writing it. As a newbie visitor on your site, I just knew that it is NOT a writing contest. I’m sorry for my misunderstanding. @movezerb: I really think you deserve the prize. Visited your blog already, and I really think it’s a good one. Hope you enjoy your new apartment (or house?). Home sweet home. @Themaninh: I believe you And she’s kind, too. I believe she’ll forgive my misunderstanding. Have a nice day, everybody. Gis is one of the most honest people I’ve ever met. Kisses to Gis and congratulations to the winner! My name is Susan. I am a Chocolatier in Lafayette, Colorado. I am interested in having you work on a template for my website for me. I love what I have seen on the internet of others websites that you have done. I am preparing to launch a new, personal site and am very interested in your designs. Could you please contact me at my website? Thank you ever so much!